Honolulu police investigate fatal pedestrian crash on Likelike Hwy. 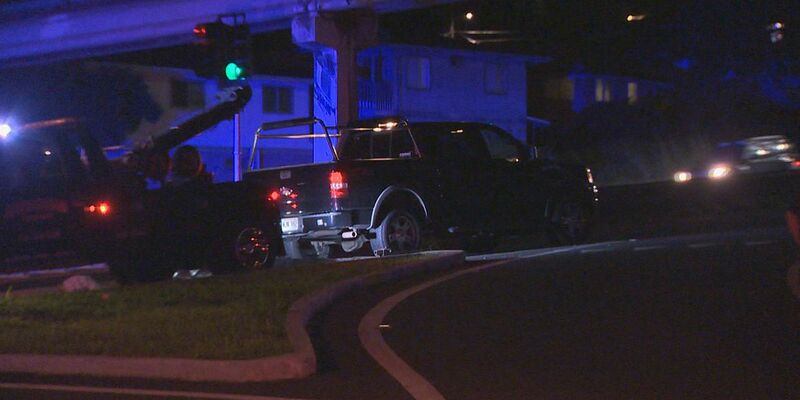 HONOLULU (HawaiiNewsNow) -A 38-year-old man died late Wednesday after he was struck by a vehicle while crossing the Likelike Highway, Honolulu police said. The crash happened around 10:50 p.m. near Nalanieha Street. Police said a 64-year-old man was driving his vehicle northbound on Likelike Highway when he struck the pedestrian, who was not in a marked crosswalk at the time. Police said it does not appear that speed, alcohol and drugs are factors. This is Oahu's 61st traffic-related death of the year compared to 42 the same time last year. Statewide, there have more than 100 deaths on the road.